My personal website has seen many iterations in 2017. I often find myself bored of a certain design and restarting it from scratch as it allows me to work on my creativity and skills. Here are some of these designs, you'll note an increasing level of quality as I've been fiddling a lot with web development throughout the months. 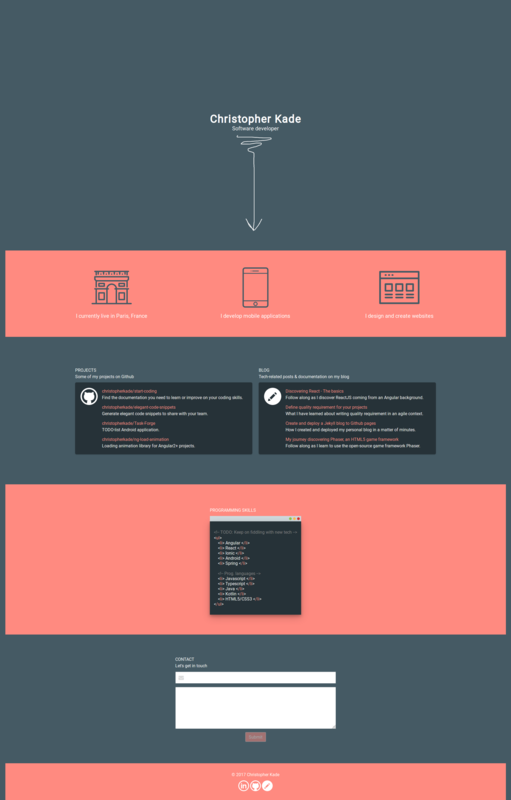 This first version was bulky and acted like a landing page, its flashy design was too much and had to be changed. The second iteration of my website was better, went straight to the point, showing off my skills and projects and giving the opportunity to contact me. 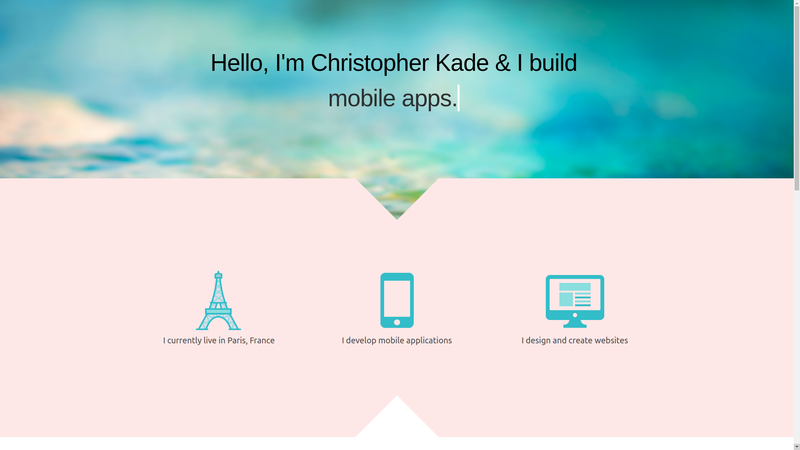 But the color palette and the landing page design bothered me as it did not feel professional and flexible. 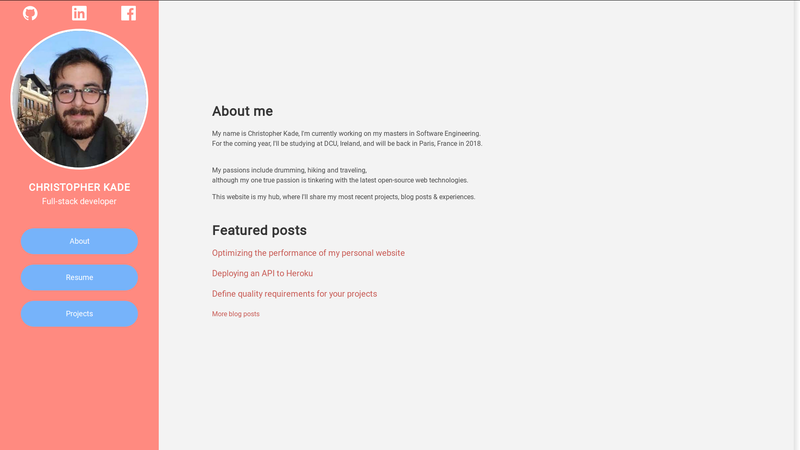 The third version was a huge upgrade: routing, a picture of myself, blog posts and flexibility. It was a hassle to develop as the side navigation had to be drastically changed on mobiles. I enjoyed this version until recently, where I wanted something lighter in tone and more professional. The current version isn't a completely finished product, as it could use some animations to my logo & other tweaks, but I find better. A complete redesign is a challenge and a pleasure, having a clean slate to work on is exciting and I believe that's why I will always find myself reworking it. I will keep on learning and increasing my skills in both design and quality of code in the near future and will surely share new features and designs on this blog.